Nexxt Solutions introduces its new generation of high speed modems, the Nova300. This device brings together the function of an ADSL+ modem with a router and a four-port switch, making this a true all-in-one solution. 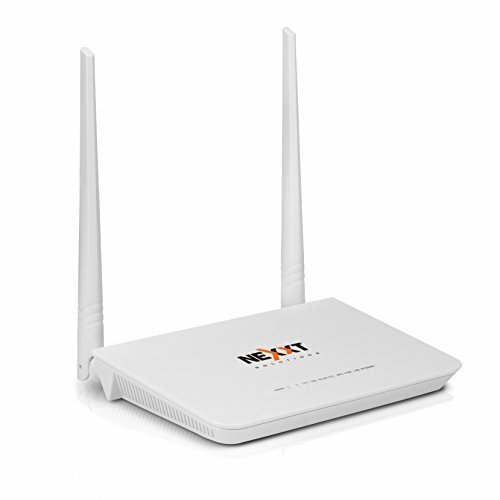 It is capable of achieving wireless speeds of up to 300Mbps - 8 times faster compared to 802.11g technology, with increased coverage thanks to its dual antenna setup. MIMO technology assists in achieving an ultra-fast and stable connection.The Nova300 supports the latest ADSL2/2+standards, providing higher performance and longer reach from ISP's without sacrificing data throughput. To configure your Nova300 you have to obtain the following parameters from your Internet Service Provider (ISP). 1. Username and Password for the connection of the ISP going into your home, it is their password for their signal going into your home. 3. ISP Name (If it does not appear in the preset list in the setup from the drop down menu, Place "Others" and place the VPI and VCI values from your ISP. Internet connection types: Dynamic/Static IP, PPPoE, PPPoA, IPoA, also DHCP enabled, Bandwidth control included, Internet protocol version 6 (IPv6), Virtual server DMZ, VPN Pass-Through PPTP, L2TP, ipsec.